Bone and blood meal are organic nutrients added to potting soil mix for optimal plant growth and health. Blood meal is a natural form of nitrogen readily absorbed into the roots of plants. Caution must be exercised when using it, however, as raw blood meal can burn the leaves of plants. Bone meal, on the other hand, is extremely safe for plants and provides the needed level of phosphate and potash. Mixing bone and blood meal into your potting soil is simple and requires only a few garden tools, but you should still have your soil tested through your local agricultural extension service. Clean the wheelbarrow to remove any threat of contaminates from the interior. Chemicals from concrete or other materials can leach into the potting soil mixture while it is being made. These foreign substances can ruin a good potting soil mix and have adverse effects on growing plants. Add five to six shovel fulls of the compost material. The compost should have been presifted to remove any large particles. 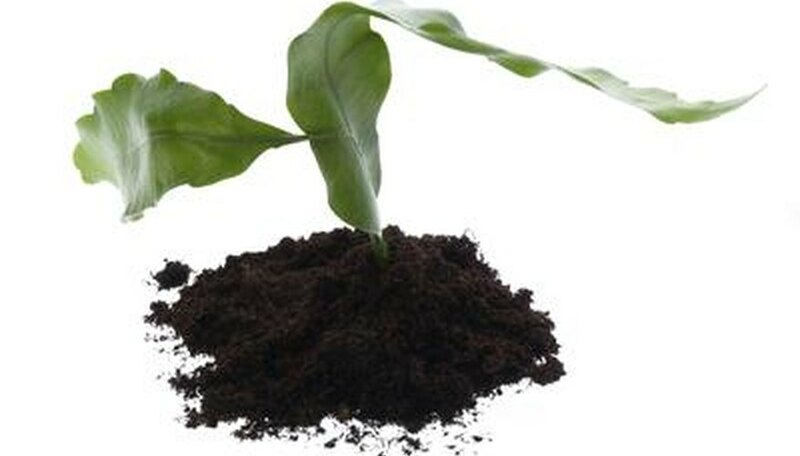 Larger particles may inhibit growth of new seedlings during the germination period. Place three to four shovel fulls of sphagnum moss on top of the compost, and mix these dry ingredients with the shovel. Combine 3 to 4 cups of the blood meal to the mix. Add 4 to 5 cups of the bone meal into the wheelbarrow mixture. Mix the dry ingredients well using the garden hoe. Break apart any large pieces. Add approximately 1 gallon of water from the garden hose to the dry ingredients and mix with the garden hoe. The mixture must be moist but not wet. Place a handful of the soil into your hand and squeeze it. If it holds together, the mixture is moist. If water oozes from the soil ball, it is too wet. Allow the mixture to set for one week before using in small pots or for transplanting seedlings. The ammonia gas created by the nitrogen component of the blood meal may kill young plants and seedlings.